When will be A Big LEGO Christmas next episode air date? Is A Big LEGO Christmas renewed or cancelled? Where to countdown A Big LEGO Christmas air dates? Is A Big LEGO Christmas worth watching? Lego started in Denmark in the 1930s as a small family business making wooden toys. It's now the most profitable toy maker in the world. 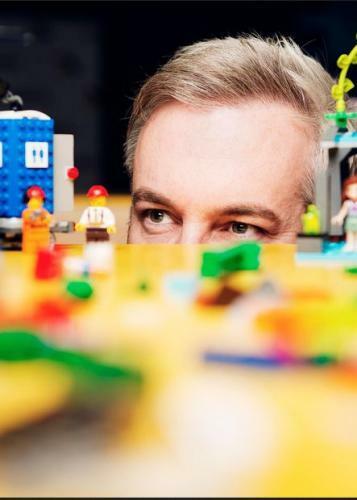 But with great success comes great stress, with Lego staff under huge pressure to think bigger and better, especially in the run up to Christmas. Lego's Big Christmas goes behind the scenes as the world's biggest Lego store prepares to open in London's Leicester Square. The one-off film also follows Duncan, Britain's only certified Lego professional, who is attempting to build the largest Lego model ever - a giant Tower Bridge, using nearly six million bricks. There's also Sophie and Michael, two adult fans of Lego, who unashamedly maintain their love for the brick. There's also Lego designer Justin, whose first kit - a re-imagining of The Beatles' Yellow Submarine - prepares to hit the shelves. More than half of all Lego sales come in the last three months of the year. This documentary goes behind the scenes at the secretive superbrand as it prepares for Christmas. A Big LEGO Christmas next episode air date provides TVMaze for you. EpisoDate.com is your TV show guide to Countdown A Big LEGO Christmas Episode Air Dates and to stay in touch with A Big LEGO Christmas next episode Air Date and your others favorite TV Shows. Add the shows you like to a "Watchlist" and let the site take it from there.